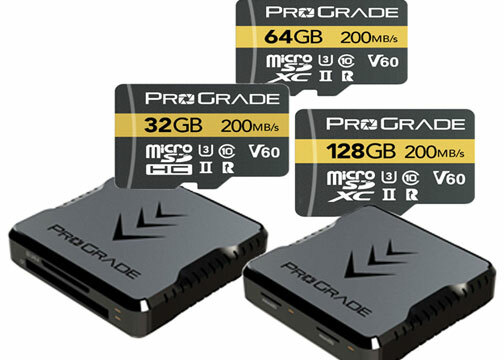 San Jose, CA—A provider of professional-grade memory cards and workflow solutions, ProGrade Digital expanded its product range with UHS-II microSDXC memory cards and two USB 3.1 Gen 2 dual-slot workflow readers. The new microSDXC UHS-II, U3, Class 10, V60 card is engineered for maximum read speeds of 200MB/s and a maximum write speed of up to 80MB/s. Video Speed Class V60 tested and certified, the card’s sustained write speed will not dip below 60MB/s, to ensure no dropped frames during video recording. 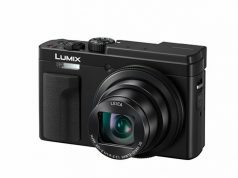 The company also debuted a microSD dual-slot card reader and a CompactFlash & SD dual-slot card reader. Both readers support USB 3.1 Gen 2 protocols and offer data transfer rates up to 10Gb/s (1.25GB/s). 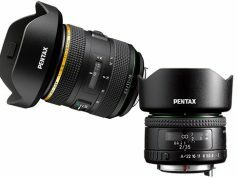 All the new products will be available 4Q 2018. Certified to perform at a maximum read of 200MB/s and write speed up to 80MB/s, this card is optimized for 4K UHD and Full HD video recording. It also supports most high bit rate MPEG-4 codecs. Moreover, the company says it has undergone rigorous full card testing, plus component-level testing down to individual memory chips. In addition it features laser-etched serial numbers to track key components and manufacturing data for quality control. With a three-year warranty the ProGrade microSDXC card comes in the following capacities: 32GB, $49.99; 64GB, $74.99; and 128GB, $114.99. The company’s new readers feature a USB 3.1 Gen 2 interface to provide speed up to 10Gb/s (1.25GB/s). They also offer concurrent maximum speed data transfer from memory cards in both slots. Included with the readers are two 18-inch connection cables: one Type A to Type C and one Type C to Type C. Moreover, they feature magnetized bottoms that connect the readers to a laptop. With a two-year warranty, the readers have individual retail prices of $79.99.